One of the most acclaimed, award-winning performers in the contemporary Hawaiian music scene, Cyril Pahinui is universally recognized as the master of the slack-key (or open-tuned) guitar. 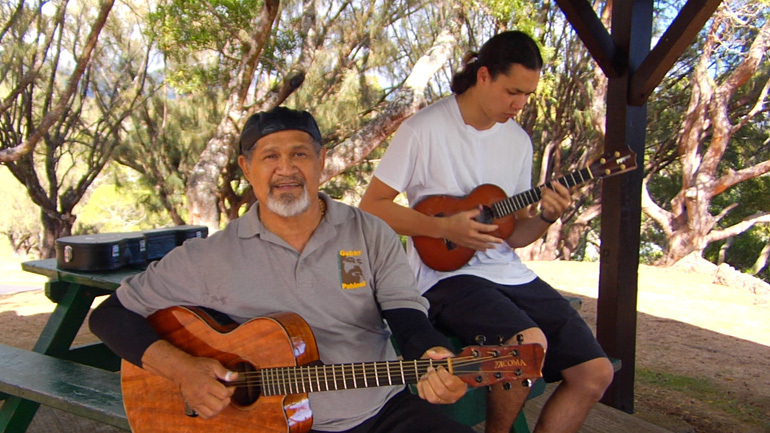 This intimate documentary follows Cyril, his friends and family as they play music, talk story and reminisce about Cyril’s trend-setting father, Gabby Pahinui, one of the island’s true recording legends. Any lovers of Hawaiian culture, slack-key guitar or music in general shouldn’t pass up on this chance to learn from—or just hang out with—such talents, so come on by and—like the title says—let’s play music. 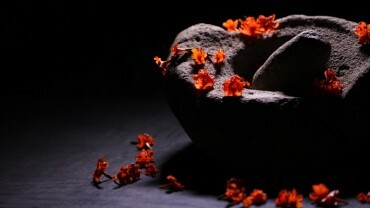 The lusong, a traditional mortar for food and medicine, has withstood the test of time, enduring conquest, occupation and the elements, to serve as a symbol of survival and permanence for the people of Guam. This short was collaboratively directed by the participants of the PIC Micronesian Filmmaker's Workshop of Guam.